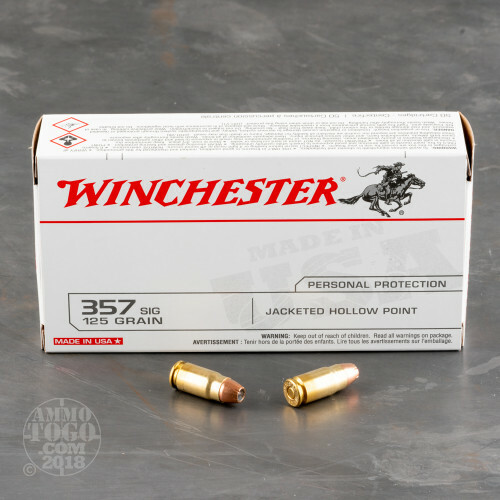 This is .357 SIG Winchester USA 125gr. Jacketed Hollow Point Ammo. 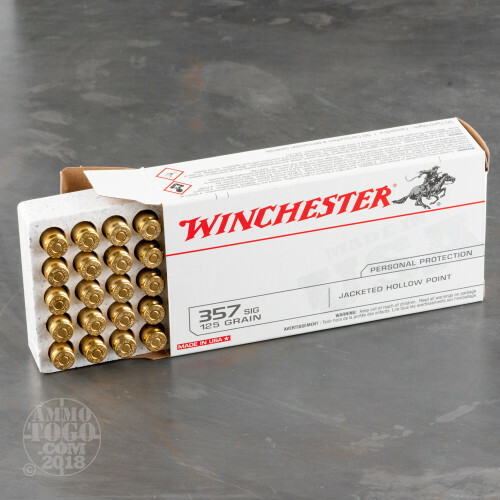 Winchester USA ammunition is a wise choice for serious centerfire shooters who demand sure functioning rounds that deliver accuracy with controlled recoil shot after shot. An ideal choice for training or extended sessions at the range. 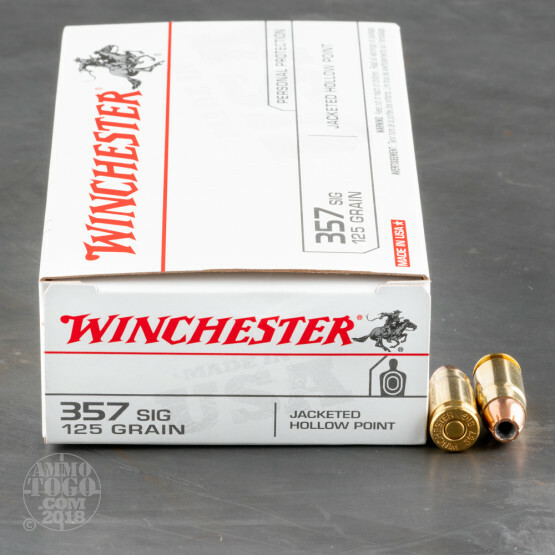 Winchester USA Jacketed Hollow Point rounds also serve as excellent personal protection ammo. Winchester USA brand ammunition provides great performance in a wide range of choices at a value price. 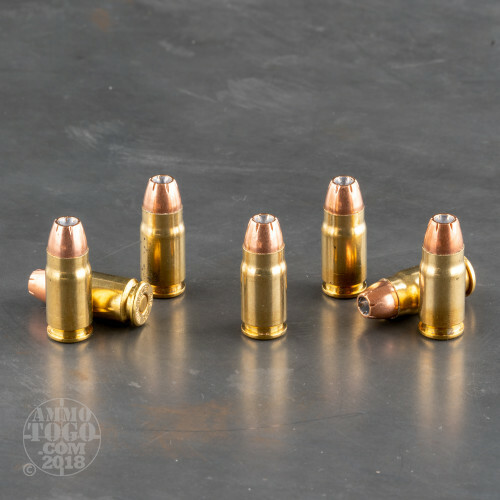 This particular load is designed to provide identical velocity to a standard 125gr 357 Magnum load, but in a lower recoil, semi-automatic pistol design. This ammo comes packed in 50rd. boxes.